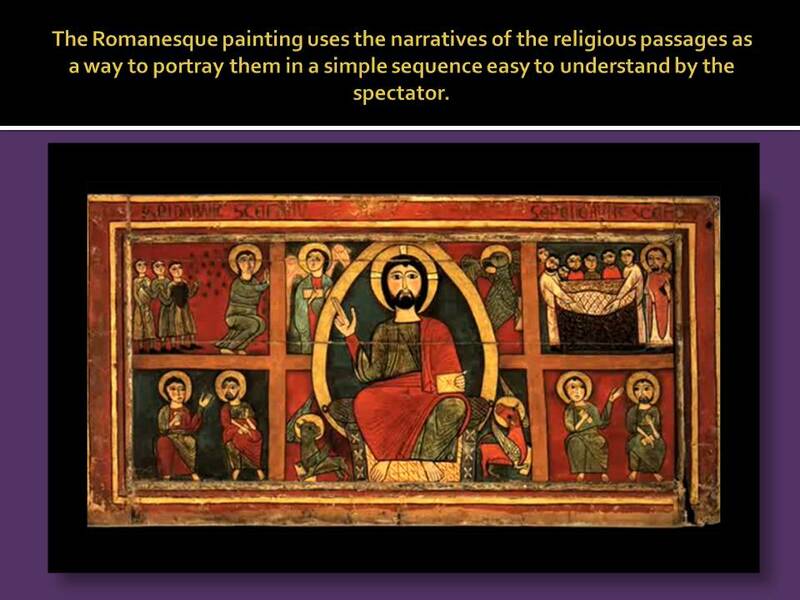 Romanesque Painting | Art History Summary. Periods and movements through time. Art History Summary. Periods and movements through time. 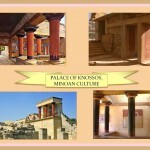 Experience a journey to the world of ancient civilizations through the Art History perspective. What exactly study the Art History? Is Art History a science? 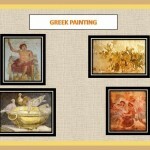 When did the study of art history started? 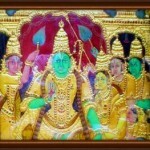 Art of India in ancient times. 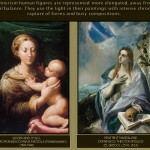 Impact of the elitist character of art in the history of man. Art is not an autonomous manifestation. About me and the reason for this blog. 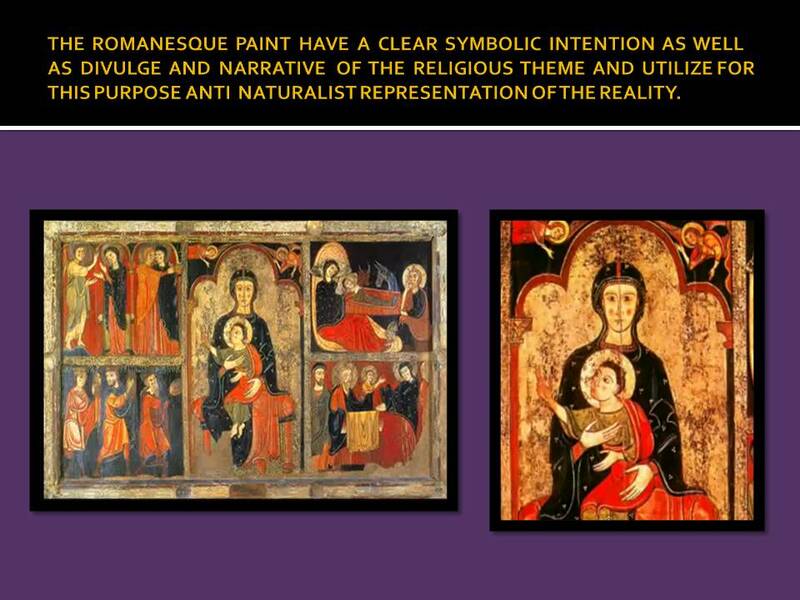 Painting in Romanesque period has a notable development, because the vast space of smooth walls were appropriate to the pictorial decoration; therefore, the painting was also a subordinated art to the architecture. The need to get a quick religious impromptu in the spectator as soon as they approach the interior of this buildings made the use of painting a valuable resource. A clear Eastern influence through the art of Byzantium can be seen in the lack of perspective, plain colors, symmetrical composition, rigidity of the figures and the blankness and expressiveness’s in faces, always showing their amazed eyes. Another element is a marked frontality of the figures that strengthens the communication with the spectators. The Catalan Romanesque churches that use effulgent colors and abstract motifs of symbolic meaning. The Italian churches, where painted religious scenes already shown true commitment to copy nature with fidelity. 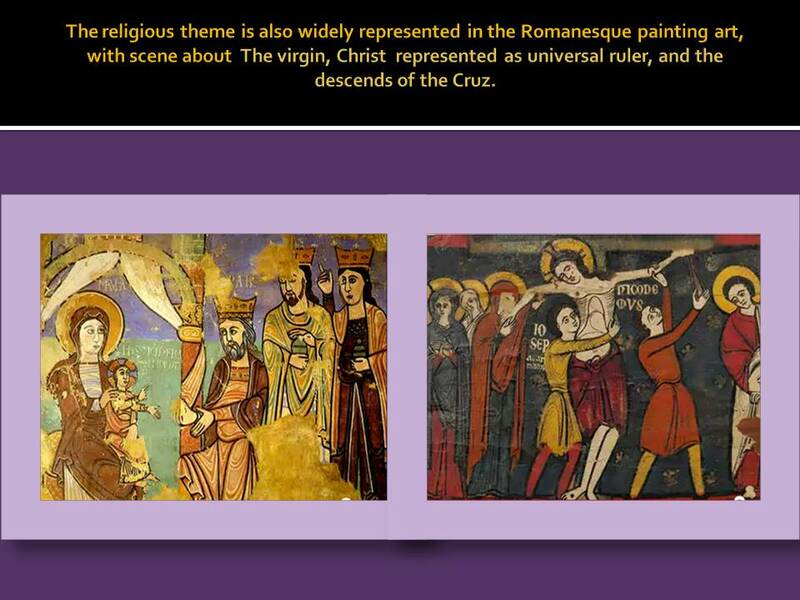 These are paintings created to decorate and as means of dissemination of religion; therefore topics revolve around those themes. The images of these paintings become an intellectual communication vehicle. 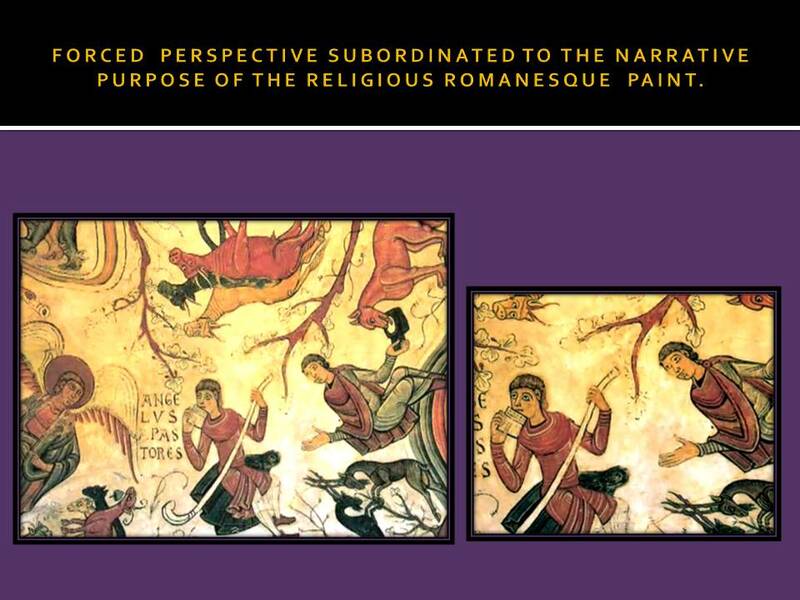 The paintings destined to illustrate the religious and idyllic passages and reinforce the clear understanding through the narratives; use a simple images representation supported by intense and contrasted colors, as well as black out liner contours against the simplest background possible. 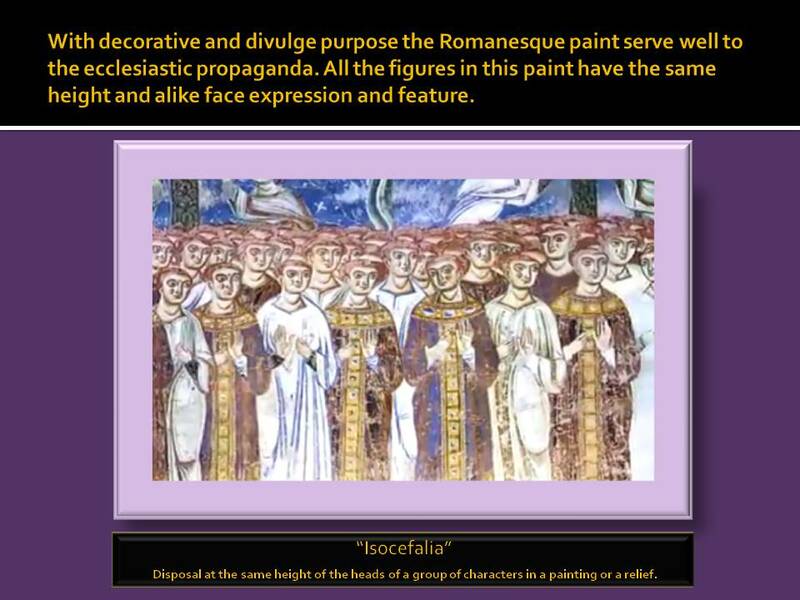 Romanesque painting has therefore two important features one is its symbolic nature and the other is itsnarrative sense. 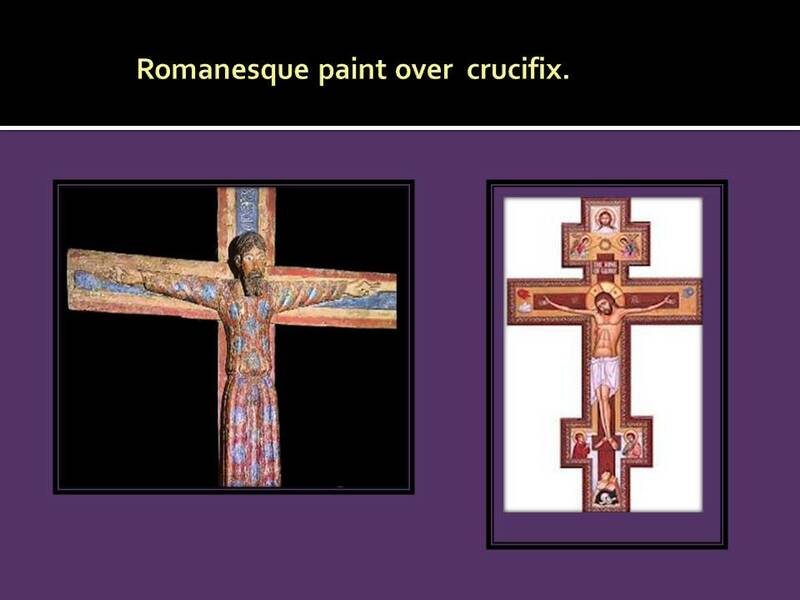 It is used to accentuate religious message with anti naturalistic representation of reality. Clear intent to represent the facts through the simple explanation of the sacred Word. It has strong religious content through gestural representation. Intensifies expressive representation through the frontality of the figures. Bright and intense colors are used. It uses the spatial hierarchy of topics. Apply conventions in painting that allow a clear reading of images. Reiteration in the use of two important themes: The Virgin and the Christ Pantokrator (In Christian iconography, refers to a specific depiction of Christ) and narratives of the old or the New Testament. Perspective of Tolomeo (divergent lines). 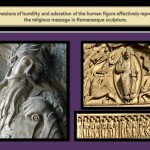 Hieratic and rigidity of the figures that intensifies the formality or seriousness of the religious theme. Without perspective or with false perspective. Gradually Stepping of characters with different sizes according to their relevance or hierarchy. Eyes and hands with dimensions disproportionate to emphasize spiritual expression. Contiguous stripes of colors intensive contrasted between each other. 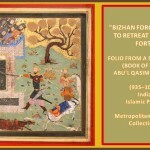 Use of the color black to outline the figures against the background. The glass painting was in this period also a format used to support the religious propaganda, making good use of the possibility to narrate the passages of the bible with a potent vehicle; using the strong power that the light aport coming from the exterior of the buildings through the decorated glass windows. 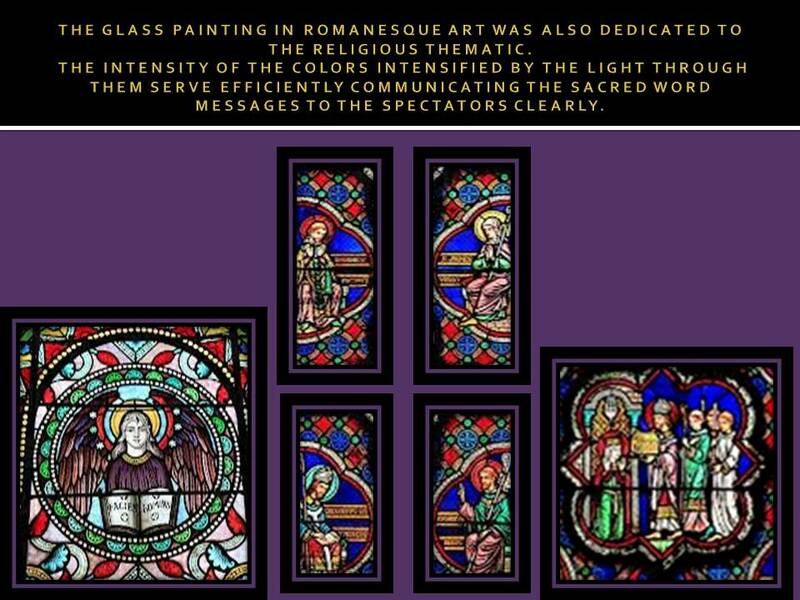 This colored and beautiful windows were definitely an eye cashing element that produce and overwhelm feeling in the spectator; at the same time that give a direct to the point messages, driven to efective represent the fervor and adoration of the religious characters’. The use of barrel vaults made possible the construction of huge interior spaces; built entirely of stone, but since the roofs were extremely heavy, the walls had to be tremendously thick to prevent buckling. Strong walls also meant fewer windows, so the insides of Romanesque churches often look dim and feel like fortresses. It is for this reason that the only sources of natural light become so important and since they were so intense colored it is hard to miss them. Early Romanesque style stained glass was influenced by the linear patterning, abstraction of the form and severe frontality also found in Byzantine Art. Most church windows exhibit individual monumental figures with few tiers (a row placed one above and behind another row) in lozenge shaped groupings. The stained glass technique in the Romanesque period give some significant work of art; been the predecessor of the magnificent glass windows of the ghotic period. their beauty; that can still been appreciated in the buildings dated from those early times in the Middle Ages show the talent of the glass blower artisan’s who use important skills passed from the Byzantine period and passing them enriched to next generations. A strong or sudden change in political, social and religious conditions trough times jeopardized the survival of stained glass beginning in the sixteenth century; making decline and destruction of a high quantity of those magnificent glasses that unfortunate had been loss. This effective format of painting was widely use further by the Gothic style with such profusion, beauty and perfection in cathedrals and Church that is hard to think this days in those religious buildings without the images of the glass painting windows come immediately to our minds. 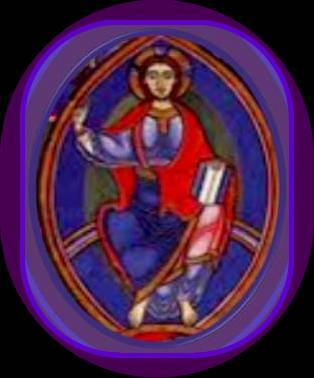 Since this glass painting use the possibilities that light itself offer to this format so effectively, they were continued used trough times to moderns day; although the stain glass as a technique become a loss art; been substituted for new techniques of glass window painting in the renaissance period. 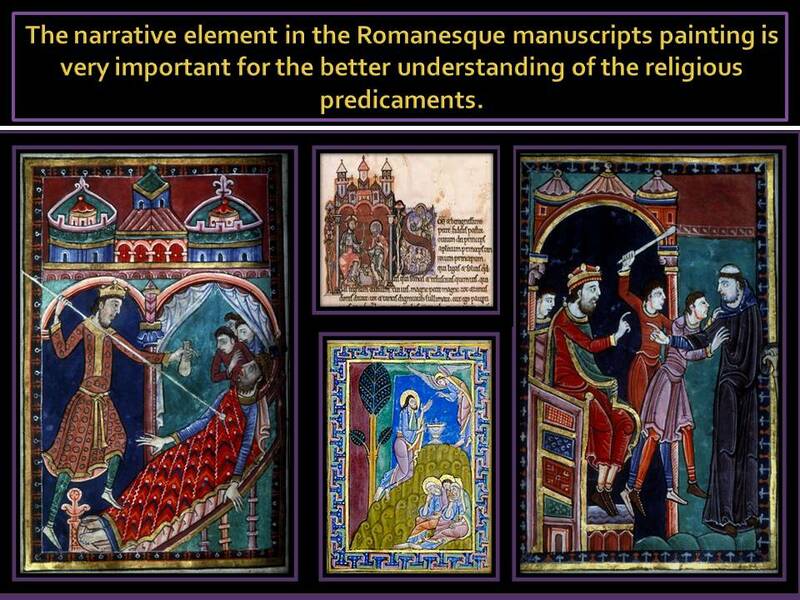 These manuscripts contained some of the best painting from the Romanesque period of art, as they were not restricted by the fresco medium; that were usually applied over the thick walls. 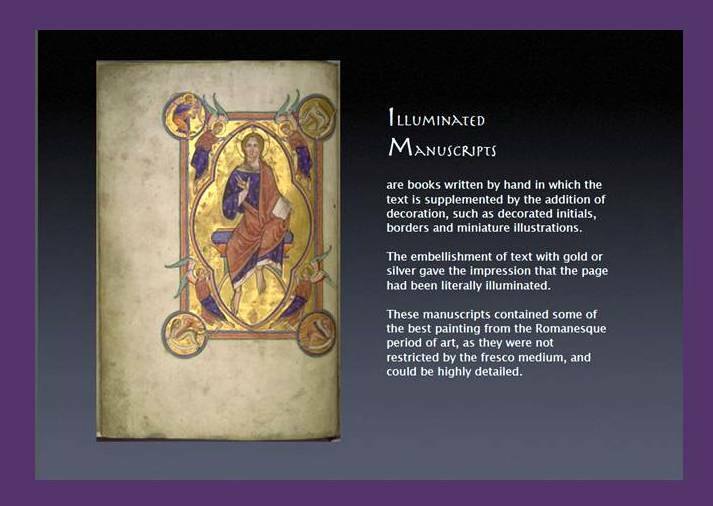 The manuscripts offer the possibility that could be highly detailed and the pictures were important; as many of the people who looked at the books could not read or write, so the images contribute to communicate the messages. 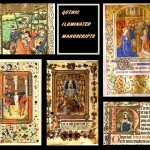 The majority of illuminated manuscripts are of a religious nature; usually bibles are is the case of the rest of the painting theme in the Romanesque painting art. Miniature in many cases using intense and eye cashing colors were sometimes wrapped up by the text or accompanied by Initials or small text. Vivid colors in the figures clothing; contrasting with the simple backgrounds in wich they are setted, help to get the messages with more effectivity. 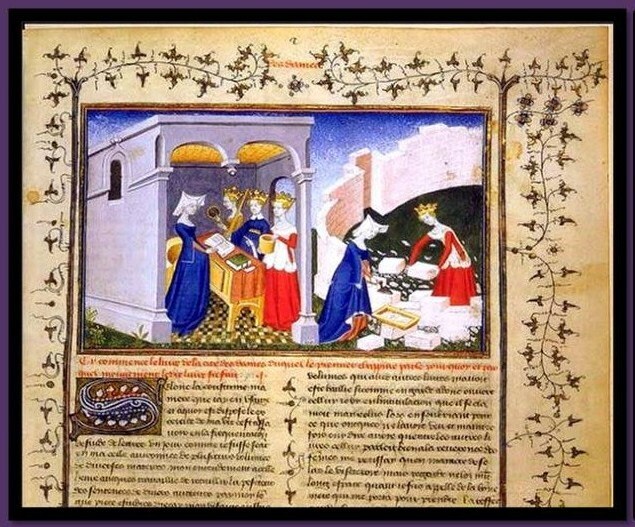 The embellishment of text with gold or silver; gave the impression that the page had been literally illuminated, most books were produced in a team rather than by an individual. They were extremely expense and only the clergy could afforded. Those manuscripts in Romanesque period have a distorted and very flat perspective and the feet are turned to the side, but the body is flat as well, similar to Egyptian hieroglyphs. 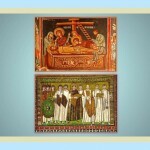 In the early Middle Ages nearly all illustrated manuscripts were produced by monks. 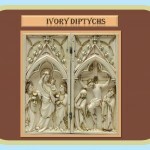 However, by the 15th century artists in the towns were commissioned to do this work. Although they rarely signed their pieces, tax records suggest that these artists were often women. or click in the picture below to go to this presentation. 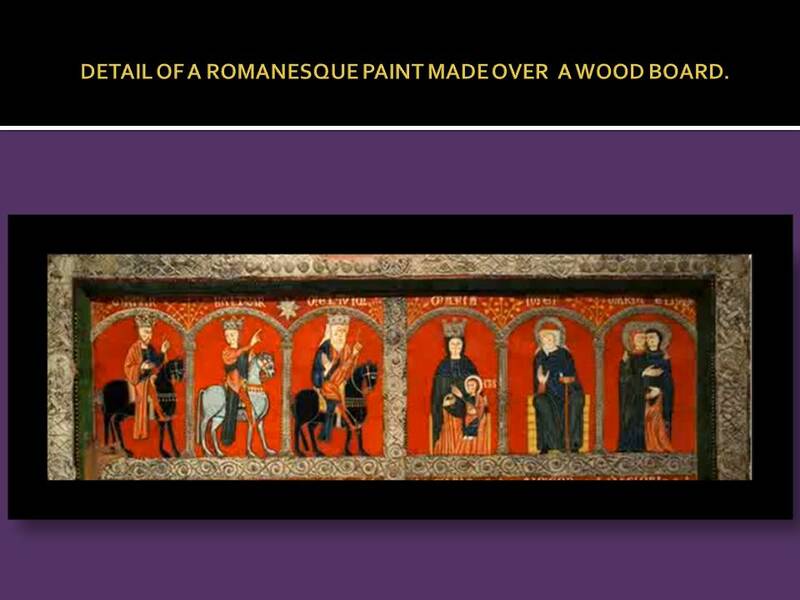 Paintings over wood surfaces also have the same themes and characteristics as the rest of the painting that was made in the Romanesque periods. 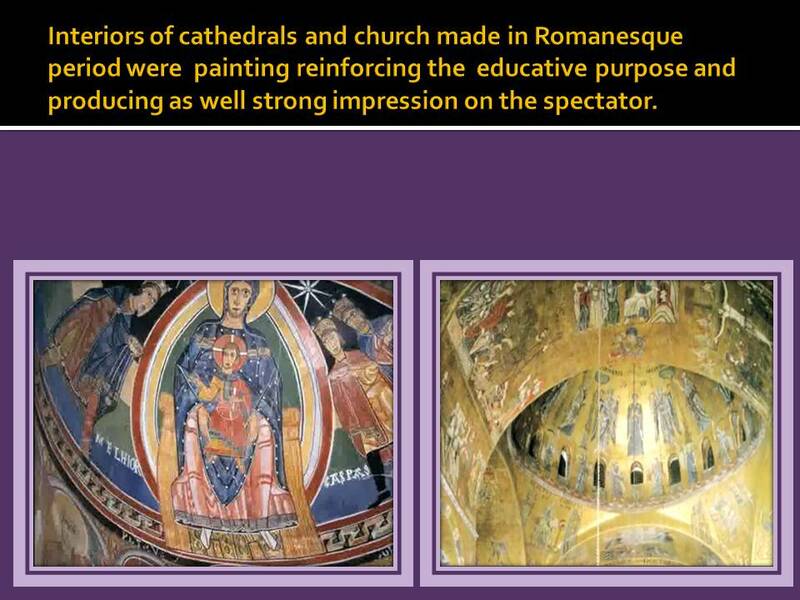 Influenced by Byzantine elements and culture the Romanesque use vibrant colors figures over a simple background, linear patterning, abstraction of the form and severe frontality. 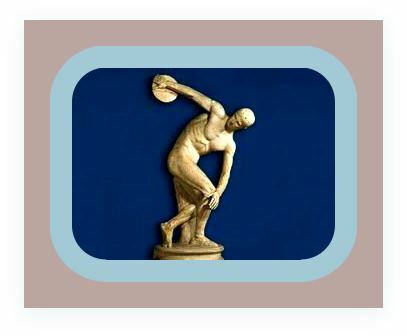 The forced perspective and unnatural representation of the figures respond to the symbolic characteristics to carry the messages more effective. 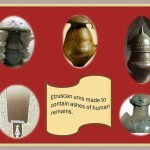 Babylonians techniques, science, medicine, astronomy and law. Version en espanol del blog. 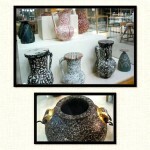 Ceramic and pottery in India in ancient times. 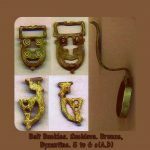 Metalwork and Jewelry in ancient India. 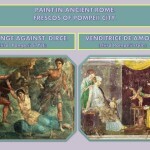 Roman Paint in ancient times.